As You probably know Visual Studio has integrated git client. It is really cool thing. 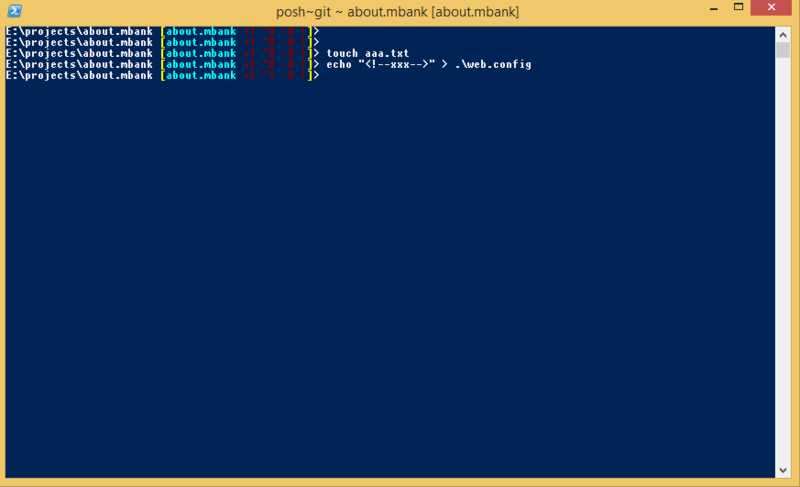 Unfortunately there is a big BUT: it does not support git over ssh. The only difference is that it has separate profile file form standard PowerShell. hich gives you all needed information with colors and numbers about your local git repository: how many new files, how many changes, is you repository behind/after origin, etc.